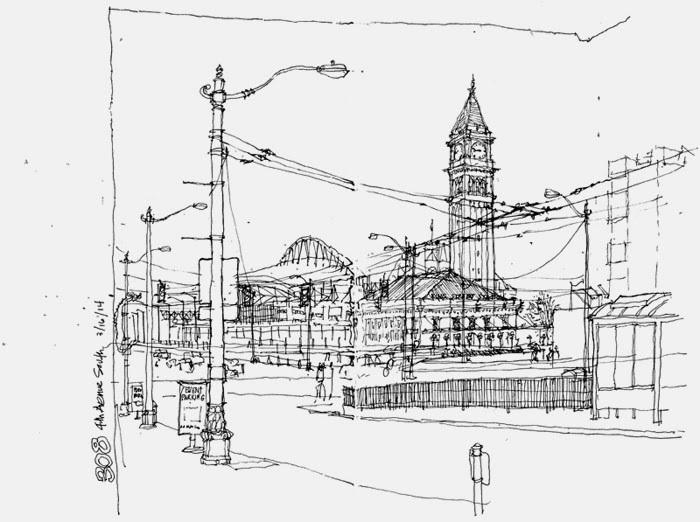 As soon as I got off the bus yesterday morning, before our meet up at 10 am, I saw this view of King Street Station and had to draw it. Luckily, I was able to stand beneath a canopy while sketching. 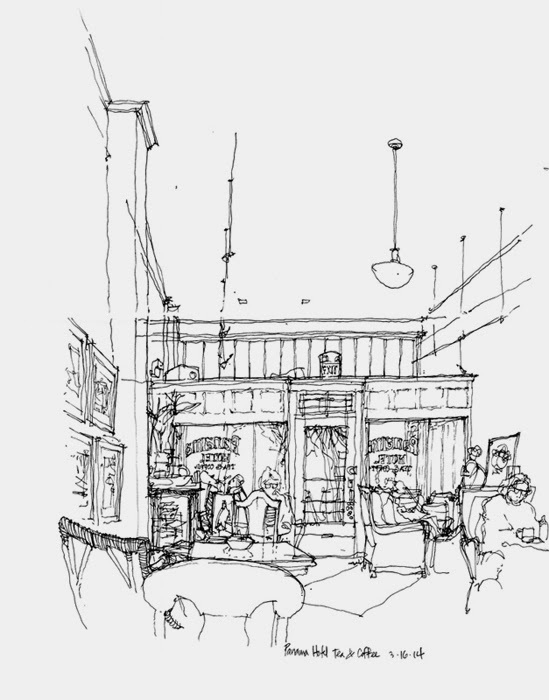 Later on, to get out of the rain and get warm, I went into the Panama Hotel Tearoom, where I saw several other Urban Sketchers comfortably sketching.